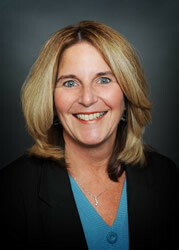 Diane Durso has focused on building relationships with clients, financial advisors and CPAs for almost 10 years. Through visits and annual follow-ups, Diane has gained client confidence and maintained the channels of communication with clients within all areas of administrative and benefit services. More than 25 years of customer service and sales experience have helped Diane to strengthen client relationships while also offering business solutions through TPS Group's Payroll, Medical and Human Resources services. Diane is happy to offer clients a “one stop shopping” approach to running their businesses. In addition to her experience with pension administration, she is a licensed life and health insurance agent and is certified in payroll management.